It’s no secret that Kylie Jenner likes to change up her hair colour—a lot. 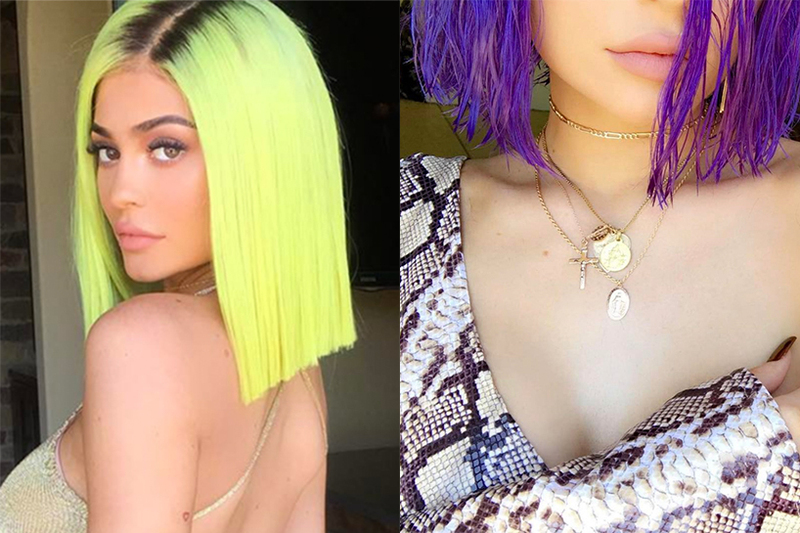 This year at Coachella, she debuted two styles—highlighter yellow and neon violet—within 24 hours. Seriously, two hair colours in one day. Sure, some of her styles are wigs, but some are also the real deal. With the right wash-out colours and the proper care products, you can switch up your pink to aqua and orange before anyone sees it coming. Here, we rounded up Kylie-worthy colours for you to choose from, and the products to keep them looking their best as a bonus. Ready, set, rinse.